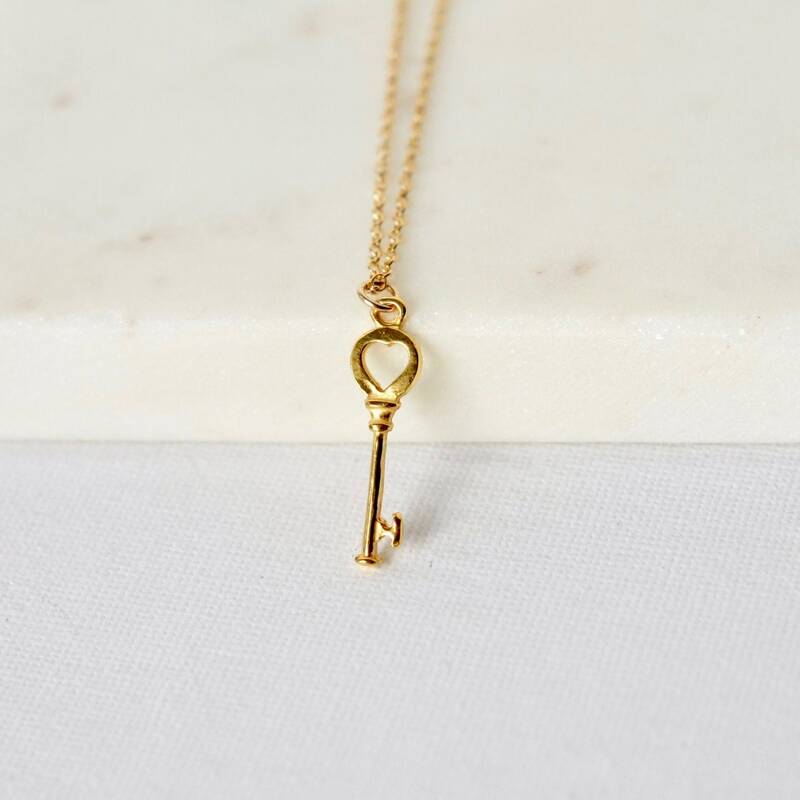 I love the details and the small heart on the skeleton key pendant - it makes for a sweet and subtle romantic necklace. 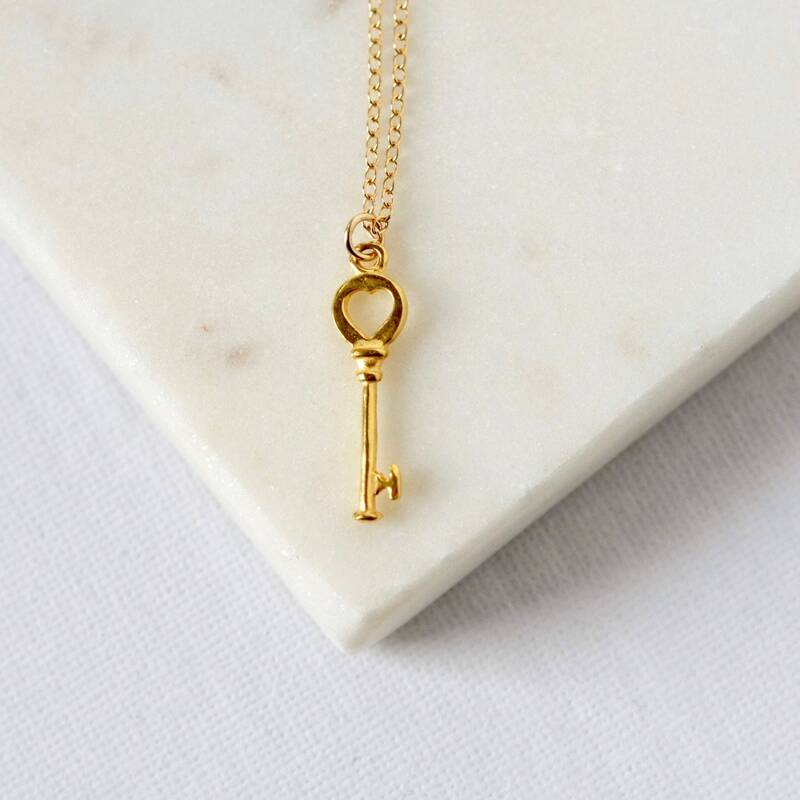 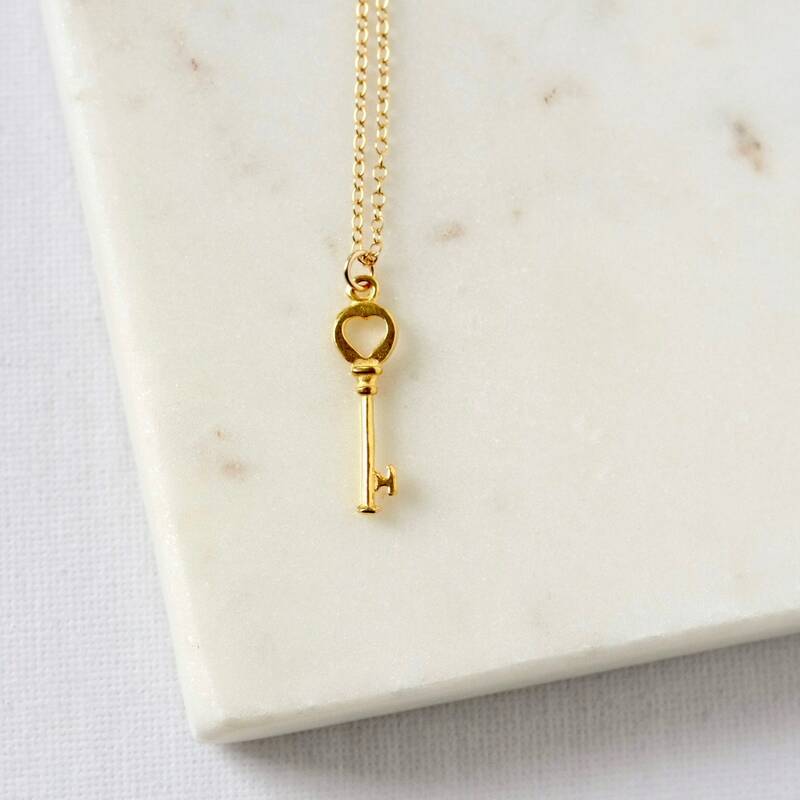 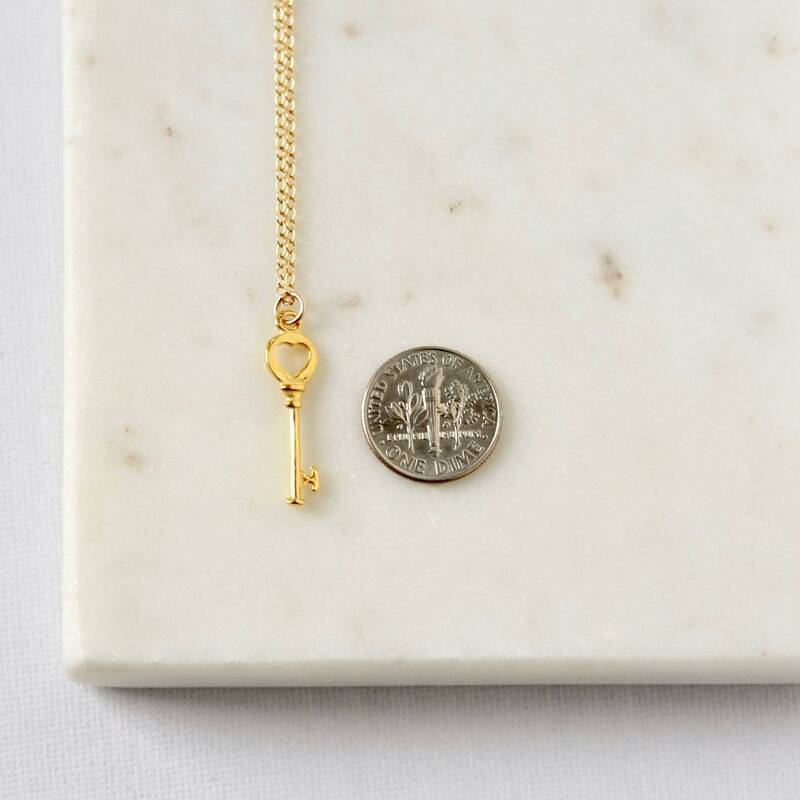 The 25mm key is shiny 24k gold-plated sterling silver and it hangs from gold-filled cable chain. 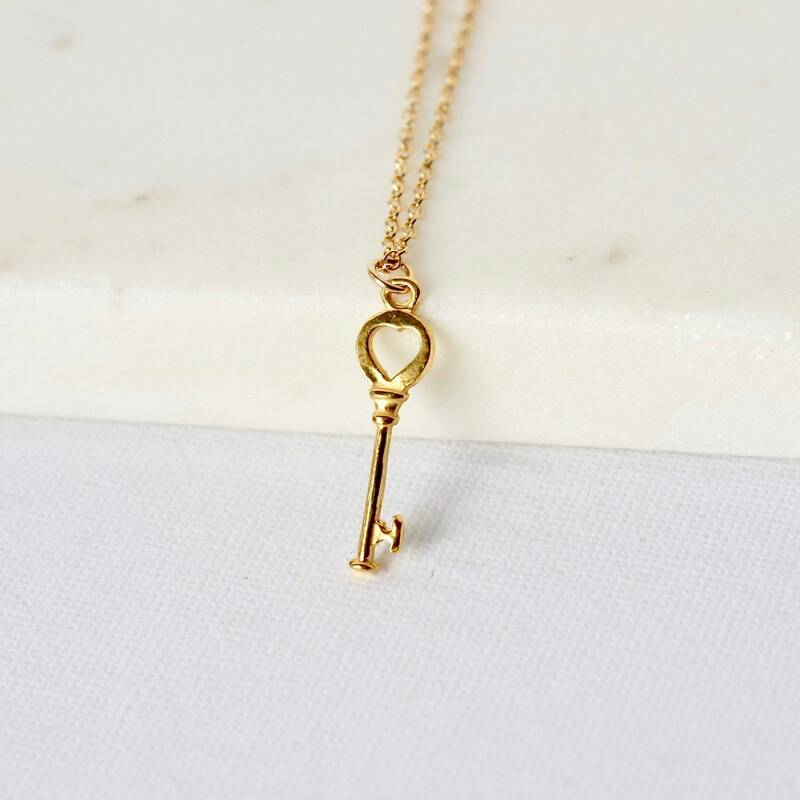 The necklace is fastened with a gold-filled spring ring clasp and you can choose your desired necklace length from the drop-down menu above. 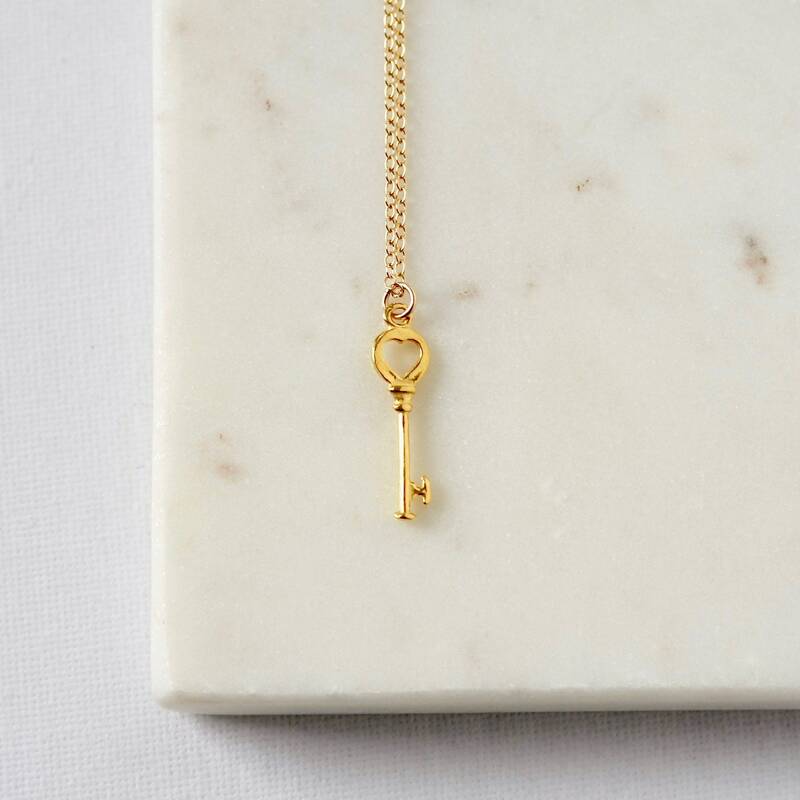 The minimalist design looks simple and stylish on its own or wear it with others for a perfect layering piece.